← The Bees need our help!! LOL!! Every year I say I’m going to write more, and every year I log in to see that another year (or more) has lapsed between posts. Well, here’s something new – how about I just write when I feel like it. So, I was relating a kind of funny origin story the other day and I thought y’all might enjoy it. I was born on October 11, 1955 – a birthday that I share with an absolutely incredible lady: Eleanor Roosevelt. I have no such claim to fame. I’m just me, but I was born under rather hilarious circumstances. I am the youngest of three children of Ruth and Harvey Dettmann. 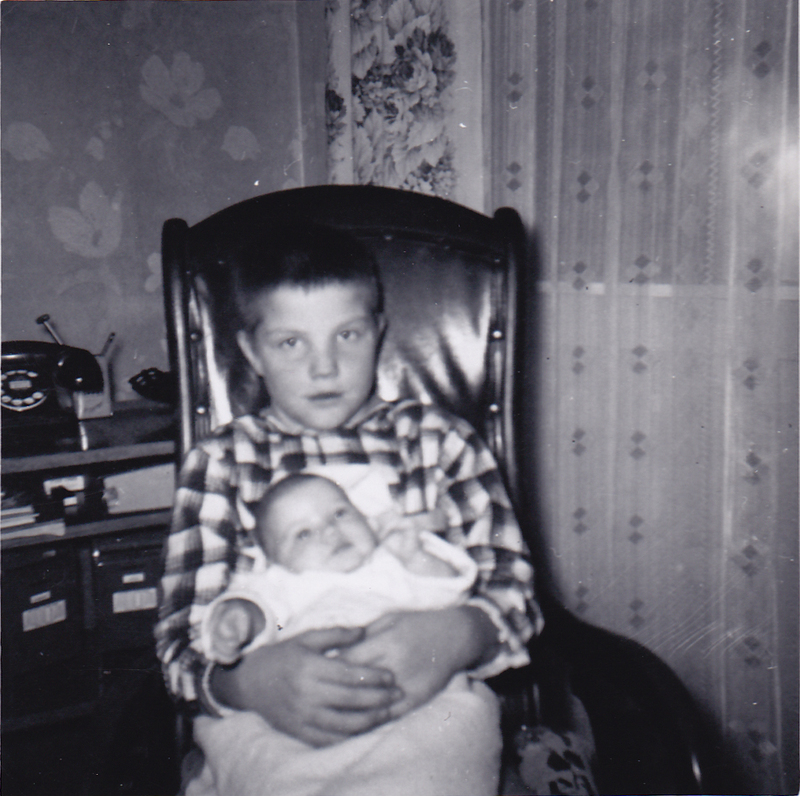 My two older siblings are boys – Terry who was born in 1947 (and who has his own funny birth story which I’ll share at some point), and Greg, born in 1950. Terry clocked in a around 7 pounds, Greg over 8 – I was 5 – barely. I was a tiny baby from all accounts, which probably explains what happened. So Dad took her home. I was born in the elevator. on the way up to the delivery room. They say I almost squirted right out onto the floor but luckily the doc caught me.The time of my birth on my birth certificate is 3:44 am.